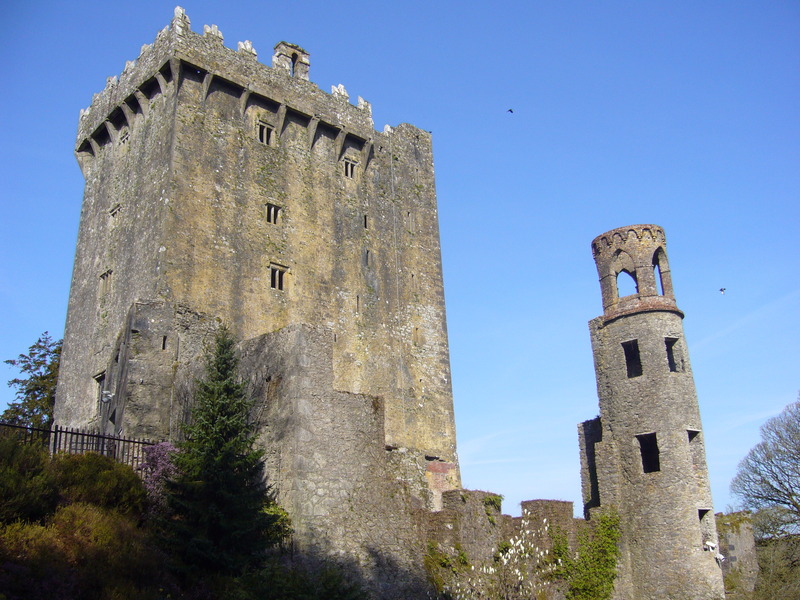 ﻿Ireland is a country of myths and legends, and nowhere is that more true than at Blarney Castle, County Cork. Literally millions of tourists visit the site to bend over backwards and kiss the stone in order to gain the gift of eloquence. If only it was that easy! Unfortunately a great majority of those tourists fail to see the true beauty of the site when heading for their saliva drizzled jewel in the crown. The castle itself is one of the finest examples of a Irish late medieval fortification which is well worth investigating in and of itself, if you can resist the overriding desire to gain the gift of the gab! So what about the castle? Blarney Castle was constructed on an impressive limestone outcrop and was strategically sited so that it could overlook two rivers. The building of the castle has traditionally been attributed to Cormac Laidir (Cormac the strong!) MacCarthy in 1446 but it is more likely that Cormac’s brother Eoghan constructed it in the 1480s. The large tower house you see today in fact represents two phases of building; the main portion which is four storeys in height, and a smaller slightly later addition against its east wall which is five storeys high. The main building and its ‘extension’ mean that castle is L-shaped in plan. It has a vaulted first floor and the upper story is believed to have served as a chapel. The castle had outer defences that included a curtain wall, some of which still survives. A fortified tower to the east of the main castle, replete with gun loops, formed part of these defences and was probably built in the 16th century with 17th century additions; another now concealed tower is most likely late 15th century in date. Although the majority of the visible remains we can see today are late medieval or early post medieval in date, there is evidence for an earlier fortification at the site that was most probably constructed of wood. It is thought the first stone defences were constructed in the early 13th century, and a round bastion below the tower may have its origins in this high medieval phase. 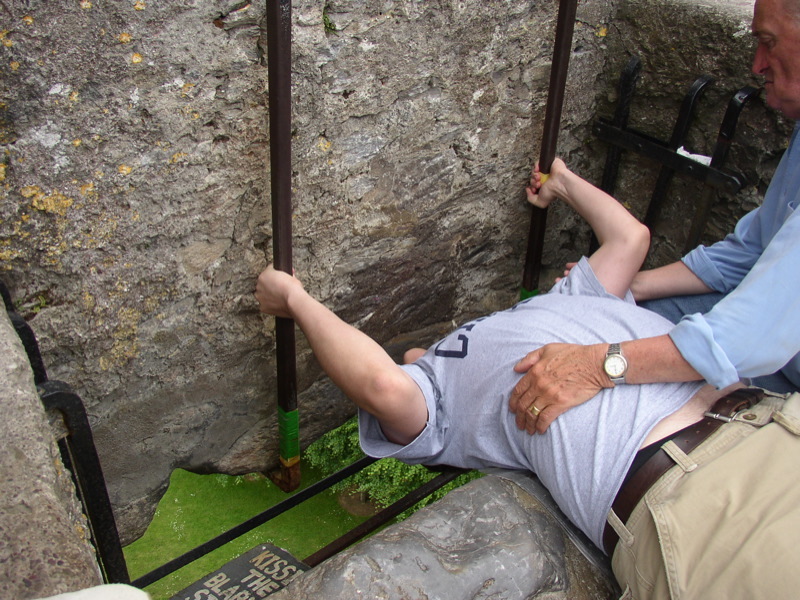 Kissing the Blarney Stone. Could you resist the temptation? The castle was the main seat of the MacCarthys, a powerful Gaelic Irish family who were Lords of Muskerry. The use of the term ‘Blarney’ as talking a load of waffle was supposedly coined by no less a celebrity than Queen Elizabeth I of England in the 16th century. The Queen is reputed to have responded to the never ending list of excuses and plausible arguments put forward by Cormac Teige McCarthy during diplomatic discussions by stating that he was giving her ‘a lot of Blarney’. The castle was taken by force by Parliamentarian forces in 1646 after a short siege- at the time the MacCarthy’s were helping to lead the Royalist cause in Munster. The McCarthy’s reclaimed the site in 1661 following the Restoration of the Monarchy but lost it again after the Battle of the Boyne in 1690. The castle and its lands were sold to Sir James Jeffreys, Governor of Cork in 1703. Many rumours are associated with the Blarney stone, the most famous of which is that the stone is part of the Stone of Scone which was gifted to the McCarthy’s by Robert the Bruce for providing support during the Battle of Bannockburn in 1314 – probably a load of auld blarney! The castle and its grounds are located just outside Cork City and well worth a visit for anyone travelling to the true capital of Ireland. Know Thy Place in The White House! I wanted to say today that I intend to come to Ireland in May, and I’m expecting to go not only to all the famous sites, but also to go to Moneygall, where my great-great-great-great-great grandfather hails from. Joe Biden is envious because he wants to go first — (laughter) — but my expectation is, is that I’ll just be laying the groundwork for what I’m sure will be an even more wonderful trip by him. Hopefully the President will be studying his new chart to learn more about Moneygall before his visit, and might even upgrade to our Explorer Roll so that he can find his way around the local sites! In the meantime it is humbling to think that one of our Know Thy Place charts may grace the walls of The White House. If you are interested in the Barack Obama chart, it is available for purchase as one of our U.S. President Places series, or if you would like to delve deeper into the archaeology of your own place, be sure to check out the options on our website! Know Thy Place on ‘Boston Talks’ St. Patrick’s Day Preview! As everyone knows tomorrow is March 17th, St. Patrick’s Day, Lá Fhéile Pádraig! To mark the occasion Michael Graham of Massachusetts radio station Boston Talks will be teaming up with George Hook from Ireland’s Newstalk for a preview of the event later today. Michael’s show The Natural Truth broadcasts each weekday from 10am- 2pm eastern time, (3pm- 7pm Irish time) and amongst his guests will be Know Thy Place Director Colm Moloney, in our first Stateside radio appearance! If you would like to tune into the show, you can listen live when the show airs here. As we continue to develop our range of products for Know Thy Place Ltd,we have started researching the ancestral townland’s of American presidents with Irish Ancestry. 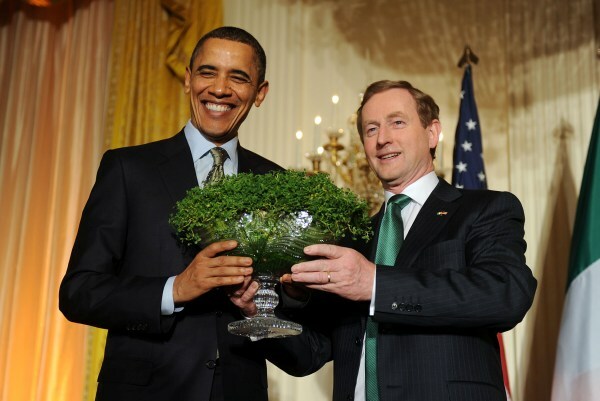 As the current incumbent, Barack Obama, has a direct Irish lineage we thought he would be a good place to start. The result is for sale on our website here. So what did we find out about Barack Obama’s Place? We thought it would be a good idea to bring you some of our major findings, and there is no better way to do that than through the blog! The Presidents ancestry has been traced back to the townland of Moneygall by a company of genealogists called Eneclann Ltd who are based in Dublin. The townland of Moneygall is located in central Ireland in the south of County Offaly, adjacent to the border with County Tipperary. In 1605 the present boundary of County Offaly, then known as ‘King’s County’, was established. Prior to this the land of Moneygall was part of Tipperary. Offaly had been shired as ‘King’s County’ in the 16th century in honour of Philip II of Spain who had married the Queen of England Mary Tudor. The earliest definite evidence for human settlement around Moneygall dates to the Bronze Age, represented by four fulachta fiadh. It is likely that the presence of such sites also indicates that less obvious monuments, such as the homes and cemeteries of the Bronze Age population, are also present buried beneath the soil. The activities of the early medieval population have left a clear mark on the landscape surrounding the town. The beginning of the early medieval period, or Early Christian period as it is sometimes referred to, is generally held to correspond with the introduction of Christianity to Ireland. Nine ringforts are still upstanding in the fields around Moneygall, with a further six sites of potential ringforts also present. While many ringforts were established in the early medieval period it is possible that some could be long-lived settlements with prehistoric origins. It is also likely that some of these sites may have been in use into the late medieval period. Just to the north of Moneygall town is an early medieval settlement and cemetery. Results from recent archaeological excavations show this was established at the end of the 6th century AD and remained in use into the 1600s. The late medieval period begins with the arrival of the Anglo-Normans in 1169 and formally ends in 1534. Around this time Moneygall was within the homeland of the O’Carrolls. The land of Moneygall is also likely to have been part of an area granted to Theobald Walter by King John in 1185. Motte and baileys, tower houses and castles are features typical of this period. Tower houses were built and inhabited by both the Anglo-Normans and indigenous Irish lords during their struggle for control over land. The castle site at Busherstown near Moneygall could have its origins in this period although there are no upstanding remains visible today. Ireland underwent considerable change during the post-medieval period which extends from 1534 to modern times. It was at the beginning of this period (1605) that the present County boundary of Offaly was established. During the mid to late post-medieval period the agricultural and industrial revolution played significant roles in shaping the country and as a consequence, Ireland enjoyed a higher degree of economic and social prosperity. Improvements in technology and advances in infrastructural developments such as road and rail provided the stimulus for this growth. Our research identified a landscape that was populated by tower houses such as those near Cullenwaine and Ballinlough in the early post-medieval period, with a more settled picture emerging as time went on. This was typified by the development of the village of Moneygall and a number of large country estates centred on ‘The Big House’ such as Busherstown – the development of the Demesne landscape which is a central element of Irish rural society in the post-medieval period. The church in Moneygall town was built as a chapel of ease around 1800. This was a church constructed in addition to the parish church and was in a more accessible location for many of the parishioners. A house within the town of Moneygall has been identified by the Irish company Eneclann as the residence of Phoebe Kearney, Obama’s 3rd great-grandmother. The house was described as being thatched with stone or lime mortar walls in 1851, which is typical of the houses of this time. 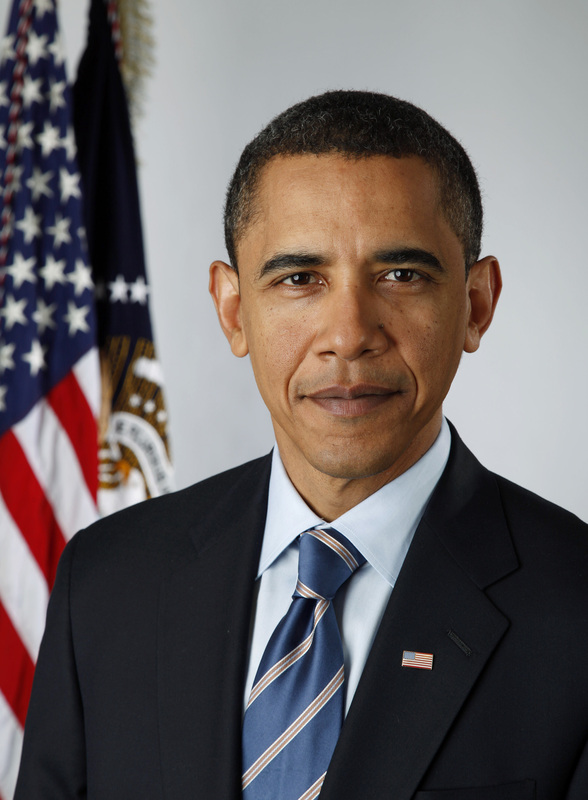 There was certainly plenty going on in Barack Obama’s Place throughout the prehistoric, medieval sand post-medieval periods, and hopefully this post has given you a flavour of the type of information on the first of our Presidents Charts. We have also developed this product for ex-Presidents Ronald Reagan and John Fitzgerald Kennedy, with many more to follow! 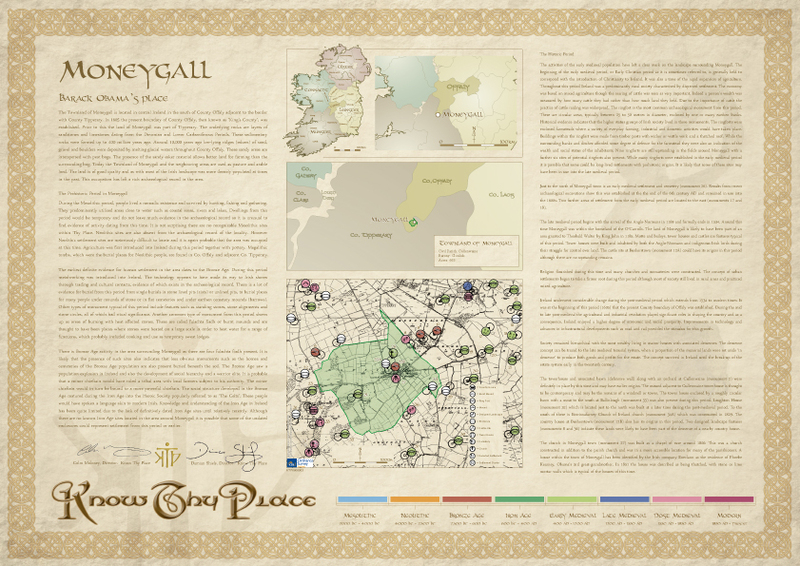 The Know Thy Place historical chart is more than just something for your wall. The information you receive also allows you to explore the archaeology of Thy Place, and serves as a guide to the location of monuments in the area. The example chart on the Know Thy Place website looks at Kilcredan, Co. Cork, Jonathan Millar’s place. Jonathan recently took the opportunity to explore some of the archaeology of the area using the chart prepared for him, and he took the time to describe his experience for the blog. My Place was chosen for the first example chart because it is a fairly typical Irish townland; it has a rich history but is not ‘famous’ and is notable locally only because it houses the local parish National School. I have lived in Kilcredan for four years and in Ireland for six years altogether, since my family and I moved here from Scotland in 2004. 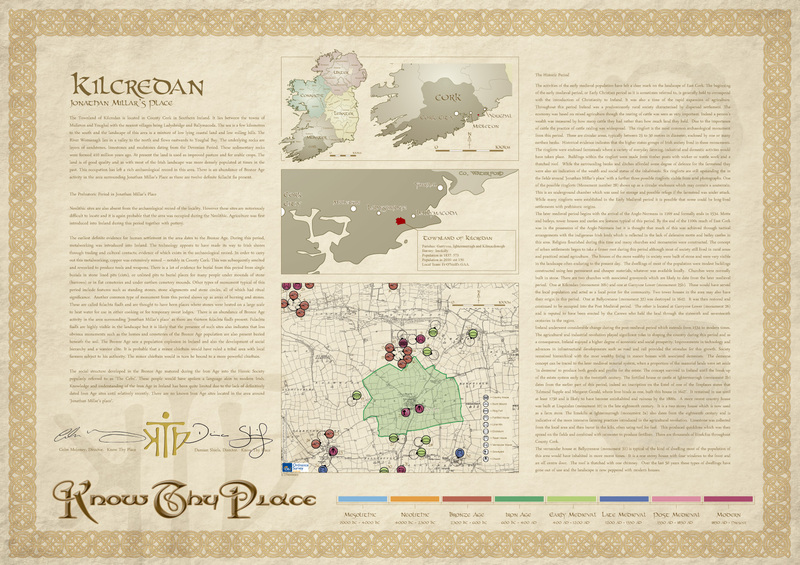 The history of Ireland as a whole is something I am still learning and my knowledge of our local area is very fragmentary- so when I was first able to read the Know Thy Place scroll for Kilcredan it revealed many interesting details I was unaware of. I have cycled and walked around Kilcredan townland many times, but as is so often the case with the place where you live, I had never previously visited the monuments and attractions in the locality. All this changed when I got my hands on a copy of the Kilcredan chart. I decided to select a monument listed on the chart each month to go and explore with my family. 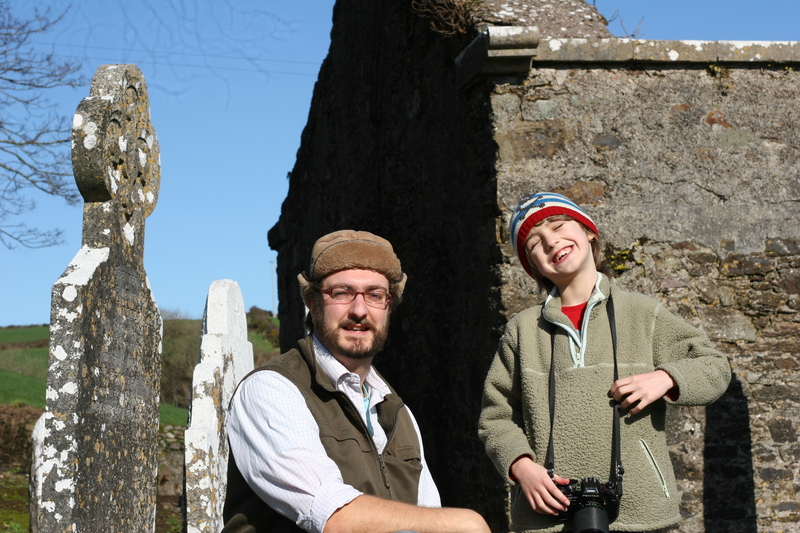 This weekend just past, my son Louis (8) and I donned our rough clothes and adventure hats and went exploring with our cameras and a modest picnic to see what we could find at Kilcredan Church. I learned from the chart that the church and graveyard (monument 20b in my place) dated to the later medieval period and was one of two in the area. The church would have been an important focal point for the community in the past, and I imagined the generations of people who must have gone there to worship. Upon our arrival at the church, which is now a ruin, Louis quickly spotted some of its key features. These included a variety of sculptures, many of which appear to have been intentionally defaced in antiquity, and a church building which shows the scars and markings of regular and persistent structural alterations during its life. 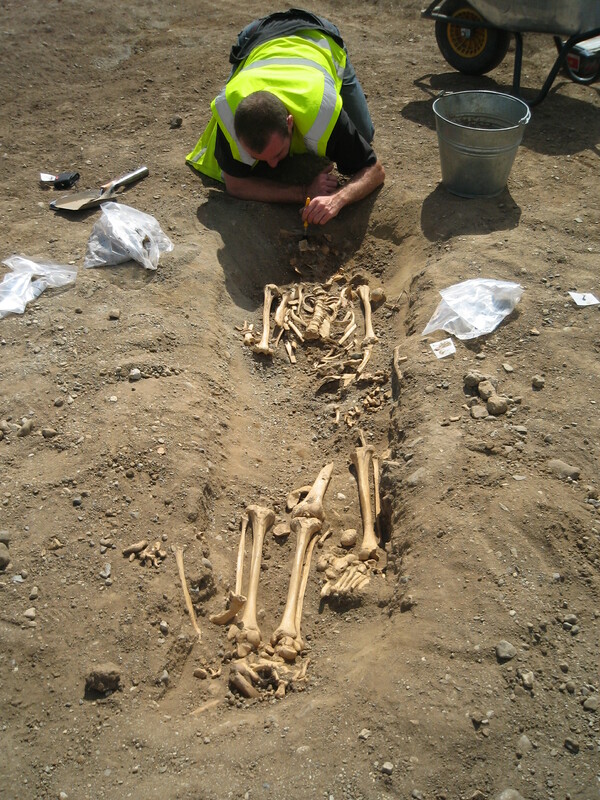 In the burial ground we came across a diverse collection of gravestones, some of which were up to 400 years old, while more recent graves bore testament to the continued use of the site by the local community and its importance to them. We spent an hour or so exploring these memorials, and we recognised the family names of lots of our friends and neighbours, highlighting that they had ties to this townland for many hundreds of years. The Know Thy Place chart is a product that resonates particularly with Irish people and members of the diaspora who have ties to a particular town or townland, ‘their Place’. I fall into a different category, having no direct ties to the townland. However, it is now the place that I call home, and the chart has given me a much greater appreciation of the historic landscape of which my home is a part. The chart now proudly hangs on my living room wall, a constant reminder to my family and I that Kilcredan is now ‘Our Place’. It was with some trepidation that this media newbie went off yesterday morning to meet the power and the glory (and indeed the National Institution) that is George Hook. 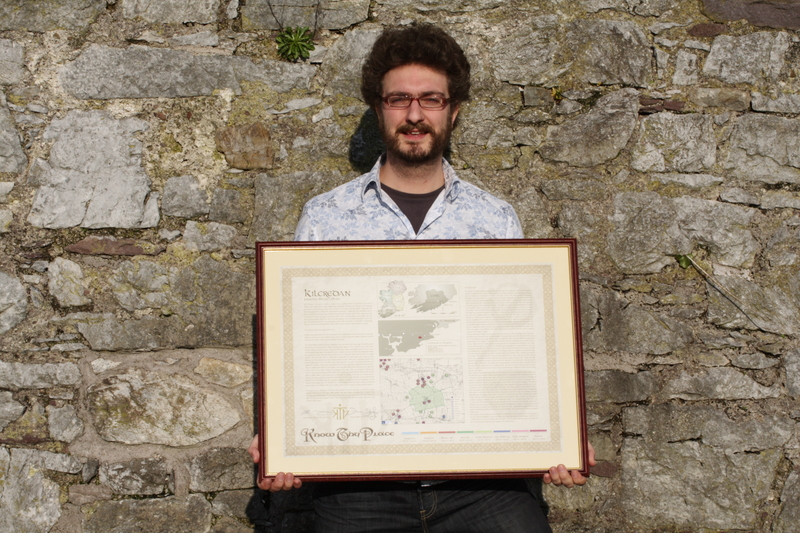 We just completed George’s chart for the street in Cork City where he lived until the age of ten. I needn’t have worried. George is a great guy. His enthusiasm for both Cork and new business ideas is contagious. George’s chart was an unusual one for us in that it is the first truly urban context that we have researched. The results are fantastic and demonstrate to us that the Know Thy Place product is the perfect means of tracing the origins and development of your street. In particular the historic maps available for urban areas tend to be better than for rural landscapes and can improve the resolution of our work for the post-medieval period. George lived in Albert Road in Cork which is just outside the Viking and medieval town centres. However it is in the post-medieval period when George’s street becomes prominent. In the mid 18th century the site of Albert Road was part of the south channel of the River Lee. A navigation wall was built to the north of George’s place and the resulting dredging operations led to the reclamation of the land on which Albert Road was built. The terrace of houses on Albert Road were built for ‘artisans’; tradesmen who worked on the docks. A major building which was constructed on the street in the mid 19th century was Cork city’s first electricity generating station, which powered the city’s trams and street lights. By a bizarre accident a community of Jewish emigrants ended up in Albert Road in the closing decades of the 19th century and the area became known colloquially as ‘Jewtown’. The Jewish community all came from the same small village in Lithuania and had intended to go to New York, but took the boat to Cork by mistake! 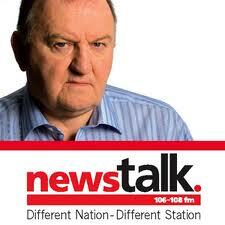 My interview with George went really well and I left the studio feeling enthused by our new business venture (Know Thy Place Ltd), that Cork is in fact the real capital of Ireland and that George Hook should be the President of both Cork and Ireland! The interview will be broadcast tomorrow morning (Saturday 5th March) 2011 between 10 and 11 am, click here to tune in.